Key Difference: The iPad Air 2 is the latest tablet by Apple and an upgrade for the iPad Air launched in 2013. The Air was the newest generation of Apple tablets that replaced the iPad 4th generation tablets. 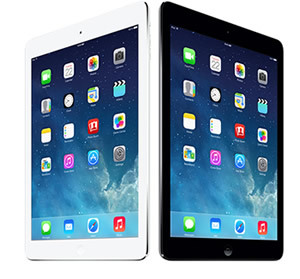 The iPad Air 2 is the latest tablet by Apple and an upgrade for the iPad Air launched in 2013. The Air was the newest generation of Apple tablets that replaced the iPad 4th generation tablets. 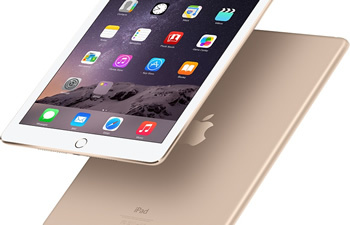 Each new iPad receives a significant boost in the processor, something that remains with iPad Air 2. The launch of Air 2 has resulted in confusion for many fans, as there are many similarities between the Air and Air 2. The iPad Air and Air 2 have many similarities but the company has introduced significant small changes in the Air 2 that may result in people to shell out the extra cash for Air 2, rather than purchasing Air 1. Air was already considered thin compared to many tablets on the market, but the Apple wasn’t satisfied. The company has shaved another 18% of width, making it only 6.1mm thick and the world’s thinnest tablet. In order to achieve the thinness, the company has reduced the buttons on the sides. Say bye to the mute switch, which has been sacrificed. Additionally, another security feature that was long awaited and already available on iPhones has been added, the TouchID Home button. Users can now press down on the home button to make purchases on the go. In addition to the space gray and silver, Air 2 is also available in champagne gold. Both the iPads offer the same screen - Retina display 9.7 inch (diagonal) LED-backlit Multi-Touch display with IPS technology and even the same 264 ppi resolution. However, Air 2 also offers features such as fully laminated display and antireflective coating, making it easier to read in sunlight. The internal hardware is the main reason for this launch. Air 2 sports 1.5 GHz triple core processor with the latest Apple A8X chipset. This chipset comes with a M8 coprocessor to help the burden of the primary processor, making performance smoother and faster. According to Apple, the performance of Air 2 CPU and GPU will be 40% and 250% faster than the Air. The device offers a 64-bit architecture similar to the one on Air. RAM for the Air 2 has been upped to 2 GB from the 1 GB available on the Air. Air 2 is also upgraded to 802.11ac Wi-Fi with MIMO for improved speed and range. The Air offered the same 5 MP rear and 1.2 MP front cameras. However, the Air 2 has been bumped up to 8 MP f2.4 aperture rear camera, the front camera remains the same. The Air 2 can shoot 1080p Full HD videos. The Air 2 also offers feature such Slo‑mo feature that records at 120 fps and time-lapse video that can speed up videos. However, optical image stabilization (OIS) is not available on the device. iPad Air 2 is expected to offer the same hours of juice as the Air 1. The company does not quote its own battery in milliamp hours (mAh), but according to the specs on the company website, battery size has reduced from 32.4-watt-hour rechargeable lithium-polymer battery in Air to 27.3-watt-hour rechargeable lithium-polymer battery in Air 2.